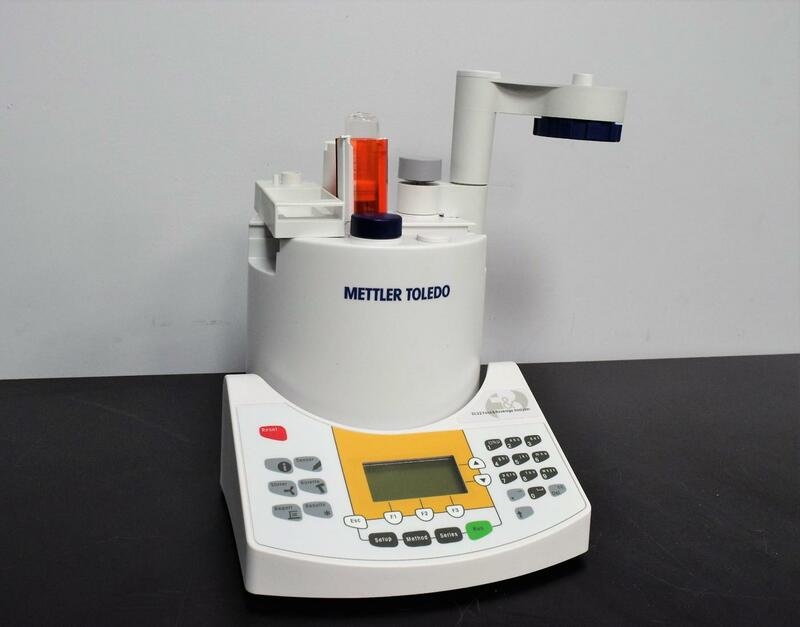 Mettler Toledo Titrator DL22 Food and Beverage Analyzer - Working Parts . New Life Scientific, Inc. This titrator had the top damaged in shipping but was power-tested and the screen and buttons all responded as they should. This would make a good unit for someone who needed to replace the main board, interface, screen or buttons. Does not include the power adapter or probes. This is a parts unit and not under warranty. The technician power tested the titrator to ensure that the main board, screen and buttons were all still in working condition. This is not meant to be used as a working unit, but to be used as parts to combine with another unit to make it fully functional.